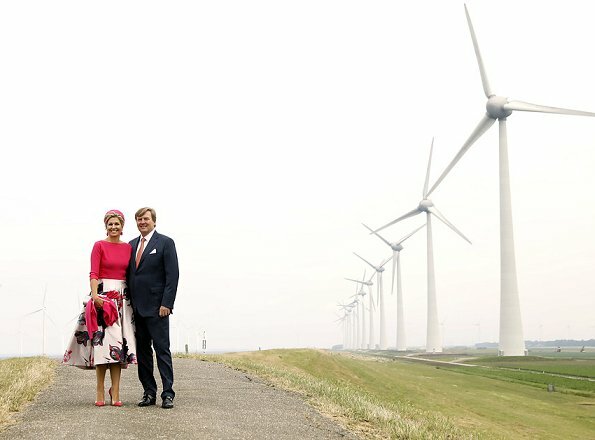 On June 29, 2017, Dutch Queen Maxima and King Willem-Alexander, are on a province visit in Northeast Flevoland, Flevoland province. 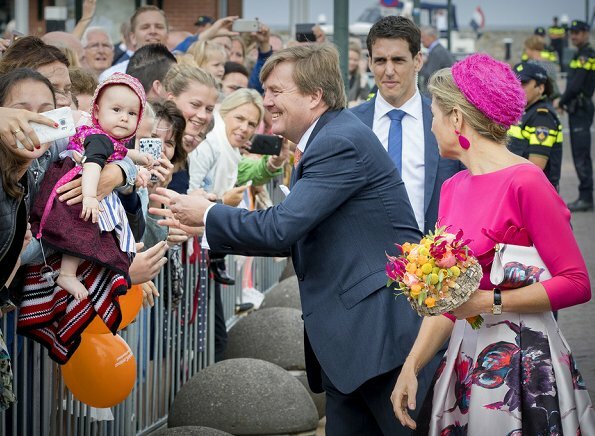 King Willem-Alexander and Queen Maxima visited a maritime school in Urk, during regional visit. een heel leuk stel !!!!! That must translate "gorgeous" in English. 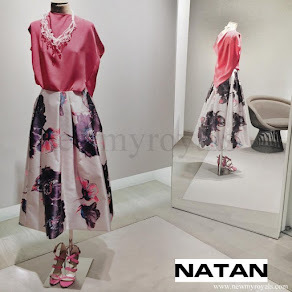 This is Maxima at her best - fashion and persona. I love her whole outfit and the hair! Very nice! Good colours. The hat doesn't seem to quite match the colour of the top...but close enough! Vous avez raison,ses cheveux sont bien quand on ne les voit pas !!! J'adore tout de cette tenue! Very much Maxima and lovely. I like it - very bright and cheerful but stylish as well. I like the skirt very much. Máxima's hat (or whatever this eyesore is named) is one of her most ugly ever. It looks like a jumbo-sized Brillo wire wool scouring pad tinted in fuchsia.